American Contemporary restaurant Ad Hoc’s little casual outdoor join right behind the main Ad Hoc. 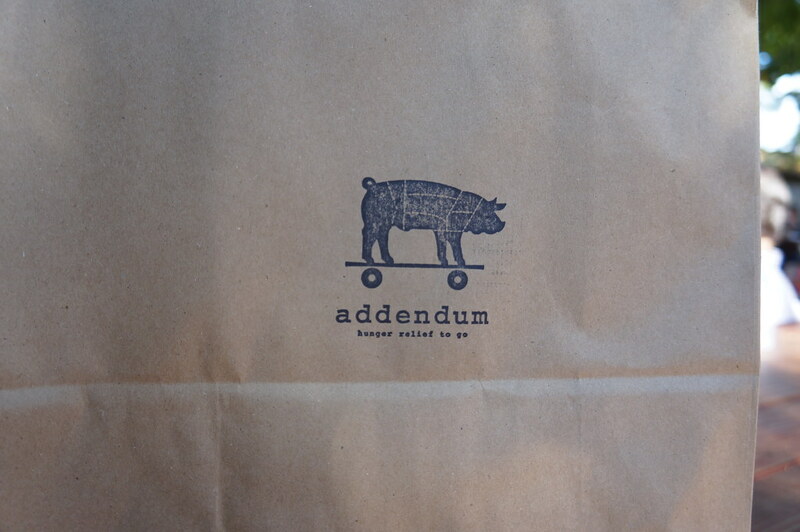 Addendum has a very simple menu with their signature dish “fried chicken”. 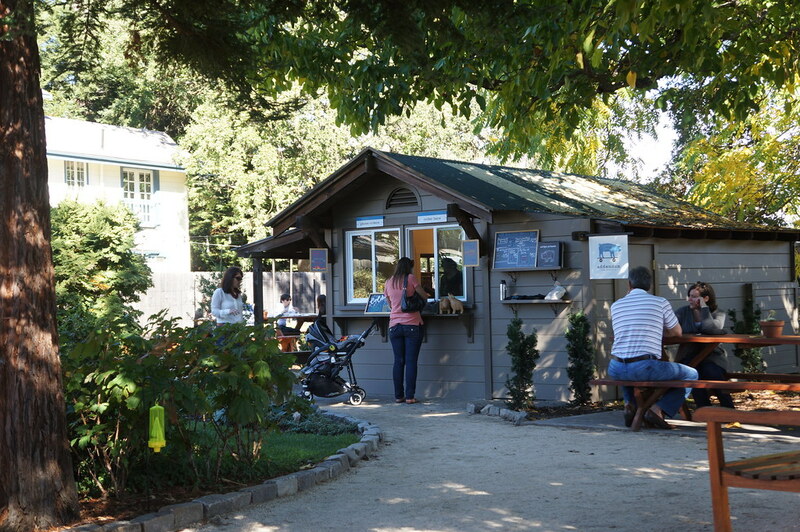 Ad Hoc is owned and managed by Thomas Keller, a well known Chef in California who also runs his well famous French Laundry. Ad Hoc and Addendum will not let you down. 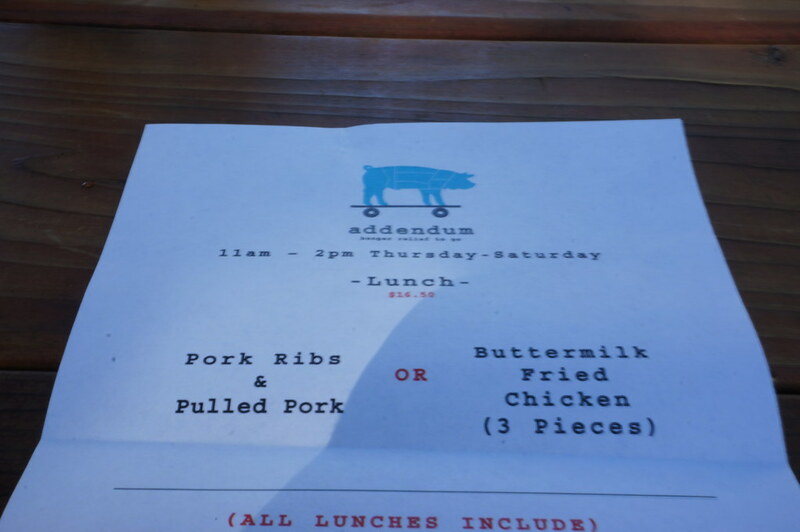 Since we had our daughter with us, Addendum worked well for us because a lot of the nice restaurants in Yountville is not well suited for family plus babies or kids. 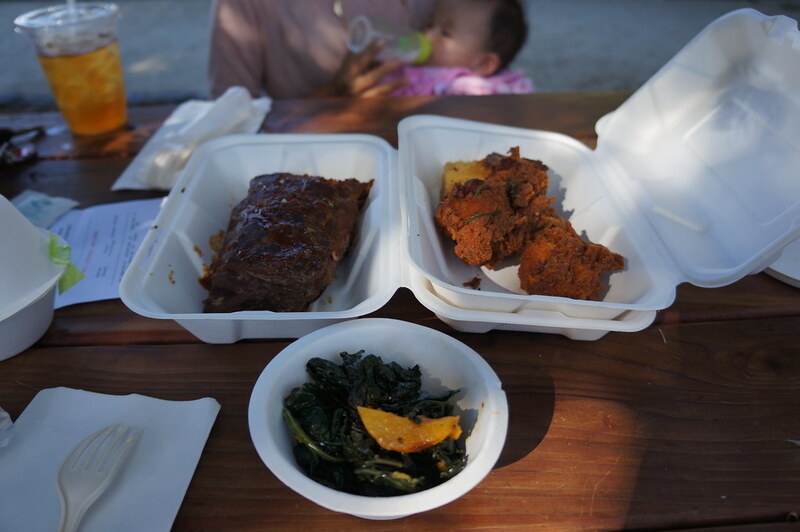 This is what the menu looks like. 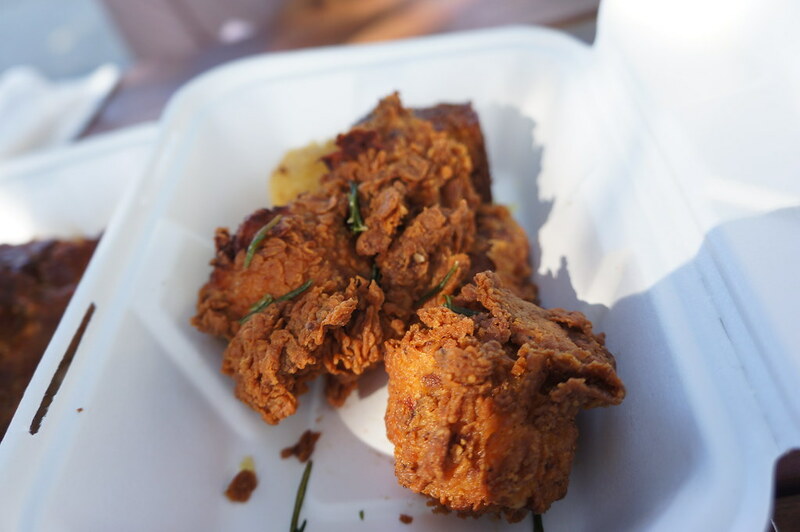 Heard it changes pretty frequently, but the fried chicken probably doesn’t change.